Subdivision is EVS, Humdrum and Incyte. 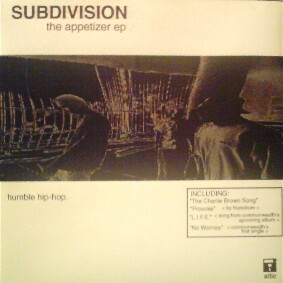 Released in 1999 The Appetizer EP was the second and final release from the group. I've been looking for this EP for a long time, thanks to Rahovec for hooking it up.